What separates CX leaders from the rest of the pack? The path to exceptional customer service is never easy, which is why many large companies just starting out on their digital transformation journey can find the road particularly daunting. 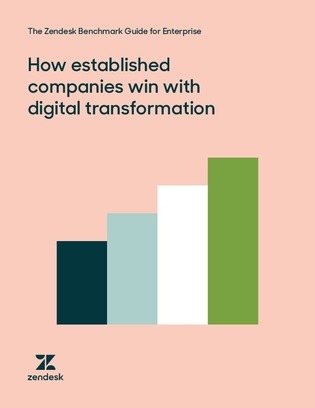 In this guide, explore how companies in the early stages of their digital transformation can better understand the next steps of their journey, and uncover what separates customer experience leaders from the rest of the pack.